After spending two years in the dog house, Hayman Capital Management and its founder, Kyle Bass, are finally seeing some positive returns on the fund's signature short-Chinese-yuan play, which has returned more than 10% since the beginning of 2018 after the fund recorded a 20% loss last year. Since he first went public with the short in 2016, Bass has stood by his view that a looming capital outflow crisis would eventually cause the Chinese yuan to shed 30% of its value vs. the dollar. And luckily for him, Trump showed up and decided to expedite this process by waging his economically disruptive trade war. So during an interview with CNBC, Bass said that China is facing its "worst financial situation" since the financial crisis after that 6.5% yoy GDP print, which has only given Trump more leverage to press his trade advantage. In making his case, Bass pointed to first-quarter data that showed for the first time in 17 years China ran a current account deficit, meaning it imported more goods and services than it exported, even as it continued to run a massive trade surplus with the US, even as it ran a massive trade surplus with the US. While this is consistent with China's goal of transitioning into a service-reliant economy, the shortage of foreign capital will create serious economic headwinds in the short term. "And so, the US is in a very particularly interesting negotiating position today. We are in the strongest negotiating position we’ve ever had against China. They’ve kind of leveled the playing field a little bit more with their, let’s say, subversion of WTO rules, their intellectual property theft and basically everything they’ve done to take advantage of the US over the past 15, 17 years." The Trump administration needs to level the playing field on trade, Bass said, and "it looks like they are doing so." And it certainly helps that Trump's trade push, while initially reviled by globalists in both parties, has since won the reluctant support of both Democrats and Republicans as the US economy has largely escaped any serious repercussions so far. But ultimately, the arbiter of government money and influence over the domestic economy is the yuan-dollar exchange rate. And as the yuan sinks, foreign ownership of Chinese assets is falling as the PBOC runs "a structural and more permanent" current-account deficit with the rest of the world as the US continues to institute trade barriers. 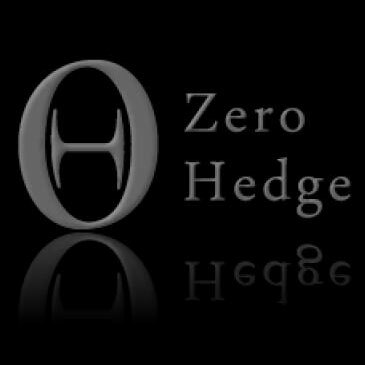 "So they can change a lot of things domestically, but their - the arbiter of the Chinese plan is their cross rate or their exchange rate with the rest of the world. China Inc.’s working capital account is now going South because they’re running what we believe to be a structural and more permanent deficit on the current account. And so, ie, their working capital, their dollar balance whether it’s dollars, euros, yen or pounds, it’s mostly dollars." 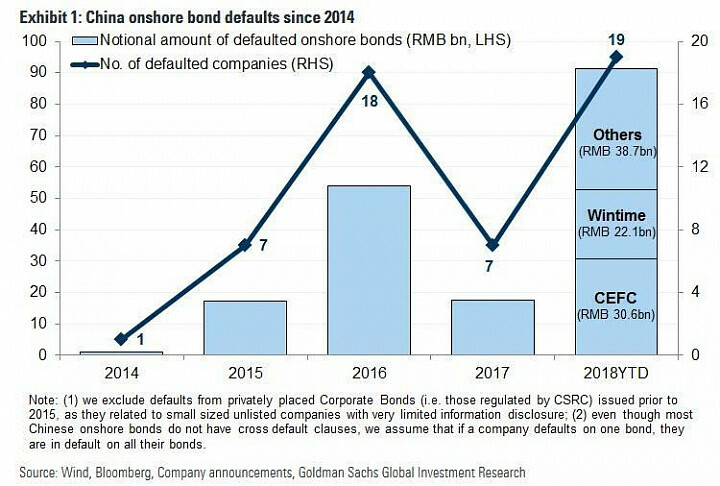 All of this instability risks toppling the mountain of bad debt upon which China's economic growth in recent years has depended. 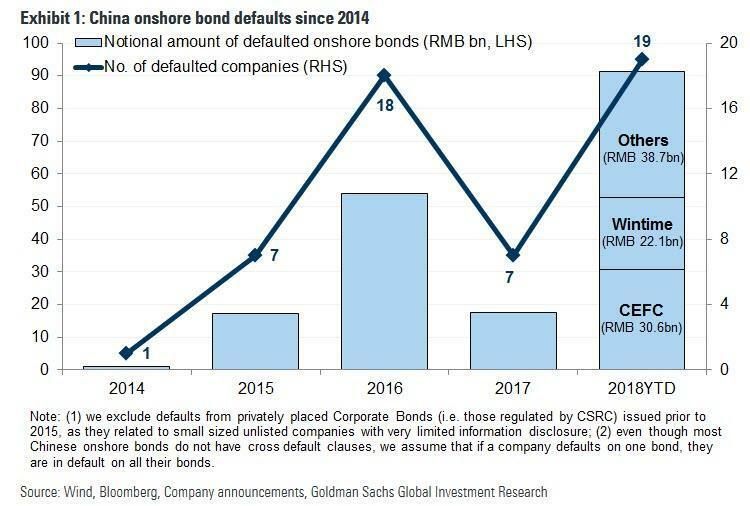 Already, corporate defaults have surged in 2018 to the highest level on record. With all of these factors at play, China is running what Bass described as "the largest financial experiment the world has ever seen." "And they’ve got, you know, $40 trillion worth of credit, somewhere between 40 and 50, no one knows, in a system with only a couple trillion dollars’ worth of equity. And so China is running the largest financial experiment the world has ever seen. And the economic tides have turned negative for them. If you notice the narrative amongst the United States, it’s actually a bipartisan narrative whereby you’re seeing both sides of the aisle pushing back on China taking advantage of the US." And with the yuan poised to break below the key technical level of 7 to the dollar, Bass and Hayman might finally be able to make up for the losses on their yuan short, as a break below 7 would likely invite a speculative attack. Watch CNBC's full interview with Hayman Capital's Kyle Bass from CNBC.